Prestigious Paralegal Master's from George Washington University. While working as a paralegal does not require a master’s degree, earning a Master of Paralegal Studies is an excellent way for legal professionals to develop their skills and move toward advanced roles in the legal field. As a graduate with a master’s in paralegal studies, you can develop a strong understanding of the law and how legal matters affect societal institutions, while demonstrating your commitment to your chosen career path. Why should you pursue a master’s in paralegal studies? The paralegal profession is growing,  but it can be difficult to stand out. In an industry with no mandatory certification exam, choosing to earn a master’s in paralegal studies can help you demonstrate many of the core skills required for paralegal positions, including confidence and comfort with legal situations, exemplary communication, organization, and research skills, and the ability to write at a high, academic level. It also exposes you to a variety of professional settings, including corporations, law offices, government, and nonprofits. Who might pursue a master's in paralegal studies? Finally, a master’s in paralegal studies can help you become a paralegal educator, as the majority of academic institutions require an advanced degree  as part of their entry requirements. Only a small handful of universities offer master’s degrees in paralegal studies. Of those, even fewer are ABA-approved. Students holding an ABA-approved master’s in paralegal studies have an advantage due to the scarcity of ABA-approved master’s degrees. Holding this degree demonstrates that you have the dedication and commitment to excel in the field, as well as the level of organizational and academic skills needed to study law at postgraduate level. Employers looking to build top-notch legal teams seek paralegals with professional legal acumen and a passion for the law. Pursuing a master’s demonstrates your ambition and passion for your chosen field of study. There are few degree programs that can prepare you for the challenge of law school quite like a master’s in paralegal studies. This could be a great opportunity to judge whether law school is right for you before you fully commit to the program. Holding a master’s in paralegal studies may also give you an advantage during the application process,  as it demonstrates that you have the academic capability required to handle the law at a high level. Admission for a master’s in paralegal studies is generally open to any student holding a bachelor’s degree from an accredited institution. As a result, this is a popular degree choice for career changers. The U.S. Bureau of Labor Statistics has predicted that employment for paralegals and legal assistants will grow by 8% from 2014 to 2024. Several factors are driving this growth, including the high demand among clients for cheaper and more efficient forms of delivery for legal services. Law firms are increasingly making use of paralegals to minimize costs. Consequently, a paralegal career is now among the more popular alternatives to becoming a lawyer in the legal industry. While lawyers require at least seven years to complete their formal education, pass the bar, and reach a point where they can practice law, becoming a paralegal can take much less time, depending on the type of program. Paralegals can also earn their degree online, making graduate education more flexible than ever. What types of careers are available for paralegal studies graduates? There are a wide variety of career options available to someone with a master’s in paralegal studies, with median salaries ranging from $49,500 for paralegals to around $118,160 for those who go on to become lawyers. If you’re looking to enter into a career in the legal field but don’t want to commit to law school and becoming an attorney, there is a positive outlook for a job as a paralegal. Paralegal professionals can expect steady job growth. In fact, the U.S. Bureau of Labor Statistics projects paralegal roles to grow by 8% between 2014 and 2024. Even in uncertain economic times, legal activities and litigation continue to rise, ensuring paralegal career choices will continue to be healthy prospects. If you’re interested in health care, there are a wide range of paralegal positions available in the industry. 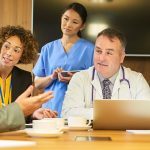 It’s an area that consistently demonstrates growth, with positions typically found in abundance in hospitals and other health care environments. 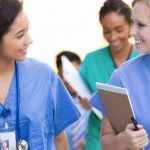 The health care industry generates a large volume of legal cases, and the health insurance sector offers another career path. Another specialty with potential for growth and success is real estate. Paralegals in the real estate industry usually have a background in mortgage brokering or real estate. If you’re working in this or a similar sector and are looking to further your career, the real estate paralegal track is an excellent opportunity for advancement. There are many opportunities for paralegals in law firms. In addition, the finance industry offers potential for advancement and growth for the savvy paralegal. 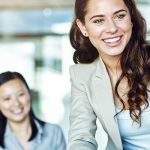 Although not quite as specialized as working as a health care or real estate paralegal, both these industries are competitive when it comes to landing the best paralegals. What roles in paralegal studies require a degree? The majority of employers require candidates for paralegal jobs to have at least some formal paralegal education. Some law firms and other businesses provide advanced on-the-job training for paralegals, but they generally require a prospective candidate to have an associate degree at the least in paralegal studies. Those with advanced degrees can expect to land more prestigious and advanced roles and have a quantifiable edge over the competition. While a degree is not technically required, a strong education in paralegal studies is a good way to stand out. Besides your core courses, there are often a broad range of classes available to make up the remainder of your degree. These are known as electives, and you can choose a certain number of classes to tailor your education to your goals. If a master’s program does not offer a specialization, you can use electives to customize the curriculum, which can help you make the most of your degree. Choosing a degree specialization can be an excellent career move. If there is a particular area you are interested in, such as family law, immigration, or litigation, specializing can give you an advantage when you seek employment, possibly enabling you to earn a higher salary and putting you in high demand. Concentrations focus on specific areas of the law, such as health law, real estate, criminal law, or intellectual property. They enable you to tailor your education to a particular legal area. It’s vital that you consider your options carefully before specializing or selecting concentrations, ensuring you align them with your career goals, salary expectations, and even the geographical area you wish to work in. Experiential learning including internships and practicum may be part of the master’s program, in accordance with American Association for Paralegal Education guidelines. Your master’s program may include time spent working as an intern with a law firm or other relevant organization, as well as trips to observe court cases and other legal proceedings. Most paralegal master’s programs do not have any specific prerequisite course requirements. A bachelor’s degree is required and can usually be in any subject. When considering a program’s curriculum, you should look at how well-rounded it is, and whether it will give you a solid base in legal knowledge. You should expect to learn about state procedures and legal reasoning, along with real estate law, corporate law, and additional areas such as family law and litigation. It’s also a good idea to consider the available specializations and concentrations, and how you might tailor the curriculum to your areas of interest. Whether the curriculum is available on campus or online is also an important element. Unlike the master’s degree in paralegal studies, this is a more specialized degree intended for those pursuing a career in criminal justice. If you’re looking to specialize as a paralegal in criminal justice, or to go on to law school and pursue a career as a criminal justice lawyer, a master of criminal justice is a good option. If you’re not interested in specializing in criminal justice, you may find this program too restrictive. A master’s in legal studies is best suited for those looking to go on to law school and pursue a career as a lawyer. A master’s in paralegal studies deals with the areas a paralegal is required to understand and deal with, in addition to serving as preparation for law school. A master’s in legal studies covers all aspects of law more broadly instead of focusing on paralegal skills. A master of laws focuses on preparing students for careers as lawyers, rather than paralegals. While this is an excellent qualification for a paralegal to have, it covers a lot that paralegals are not currently able to do, and as such may focus too much on areas you will never be able to put into practice if you do not intend to go on to law school. Certificate programs in paralegal studies offer a great way to get formal training and certification in paralegal studies without the extended time and financial commitments of a full degree. There are many advantages to having a certificate in paralegal studies; however, compared to a full degree, and in particular, a master’s-level program, the depth of knowledge gained through a certificate is considerably less. A paralegal certificate is not the same as paralegal licensure. Paralegal licensure indicates that an individual has a good paralegal education as well as the credentials required for the profession. Paralegal certification is voluntary across the majority of states. Paralegals provide legal research support and investigate facts to prepare for legal cases . A paralegal degree can help you manage the information that is provided for legal cases and ensure you are providing the best support for lawyers who are preparing for hearings, trials, and corporate meetings. What is a master's in paralegal studies? A master’s in paralegal studies provides you with the skills and knowledge you need to be successful in the legal field. You will learn and practice skills that are in-demand by employers such as written and oral communication skills, presenting in multiple formats using technology, and deepening your knowledge of core legal concepts. A graduate degree in Paralegal Studies is suited for individuals seeking a career in the legal field. The degree can help you gain the legal theory and deepen your knowledge in negotiation, evidence, advocacy, contract law, insurance law, and professional responsibility and ethics. Why should I earn a Paralegal Studies degree? A Paralegal Studies degree can help you become more competitive in the legal field and more valuable to your employer. The Bureau of Labor Statistics estimates that the paralegal professional is expected to grow by 8 percent annually from 2014 to 2024 . This degree can help you gain the professional expertise that will allow you to become a strategic asset to your company and a vital member of legal teams. The primary focus of the Paralegal Studies degree is to boost your earning credentials by deepening your knowledge in the American legal field. You will be learning the theory and practical skills to support this knowledge growth through courses in legal research and writing, litigation, contracts, business entities, administrative and government contracts law, intellectual property and international law, and more. What are the key attributes to look for in a Paralegal Degree? The key attributes to look for in a graduate in paralegal studies are an industry recognized accreditations such as the American Association for Paralegal Education (AAfPE) and the National Federation of Paralegal Associations (NFPA). In addition, you will want to look for a robust curriculum that will provide you with a deep legal foundation in legal research and writing, litigation, and multiple areas of law such as administrative, government contracts, intellectual property, and international. How much will the Paralegal Degree cost? Graduate degrees in Paralegal Studies will vary. There is typically an application fee that ranges in price from $50 to $100. In addition, you may pay course tuition ranging from $700 to $1,200 per credit hour. The credit hour may include costs such as registration fees, technology fees, and matriculation fees. Books and supplies may be extra. Are there any differences between the paralegal studies master’s degree and paralegal studies certificate? There are several differences between the paralegal studies master’s degree and Certificate. The key differences are length of time and tuition. The graduate degree typically takes 16 to 24 months to complete, and costs around $30,000 to $40,000 USD, depending on the institution. The graduate certificate is typically shorter at 8 to 12 months and costs range from $10,000 to $20,000 USD, depending on the academic institution. GPA requirements will vary by institution and program type. Most paralegal studies master’s degrees and certificates require a bachelor’s degree from a regionally accredited institution of higher learning with a minimum grade point average (GPA) of 3.0 on a 4.0 scale. Whether you will need to complete the GRE/GMAT prior to applying for a program will largely depend on what school you have chosen. There are many programs that do not require a GRE/GMAT. Check the admissions requirements for your school before applying. Do I need to have background in Paralegal Studies or Legal Studies? Most programs require that students have completed a bachelor’s degree as part of the admission requirements. A background in Paralegal Studies or Legal Studies are not typically required. Subject restrictions from the undergraduate degree typically do not apply. The master’s degree can help prepare students for a successful career in the legal field with a focus on legal research and writing, civil procedure, contracts, and other subjects. Prior work experience for this degree varies by institution and program. Most paralegal studies or legal studies master’s degrees do not specify years of work experience for admission requirements. However, some institutions may require applicants to have a professional resume showcasing their work experience, and also require professional letters of recommendations. Is there a specific undergraduate/bachelor degree I need to have in order to qualify? Most master’s degrees in paralegal studies and/or legal studies do not require a specific undergraduate / bachelor’s degree in order to qualify for the program. However, most institutions require applicants to have completed an undergraduate degree with a minimum grade point average (GPA). Are there any prerequisite courses that I need? There are typically no prerequisite courses required to qualify for a master’s degree in paralegal studies and/or legal studies. However, an undergraduate degree with a minimum GPA may be required to meet the admission requirements of most graduate degree programs. What are the typical core courses? The typical core courses will prepare you to gain a deeper understanding of the legal field. You will take courses on legal research, legal writing, litigation and contracts, and business entities. Some programs will also provide you with in-depth knowledge of various types of law such as administrative law, government contracts law, intellectual property law, international law, and more. Q: What should I look for when it comes to curriculum? What is the program length to complete the Paralegal Studies and/or Legal Studies degree? The program length to complete the Paralegal Studies and/or Legal Studies program varies by degree type and institutions. Most certificates take 8 to 12 months to complete, while most master’s degrees take 16 to 24 months to complete. Some Paralegal Studies and/or Legal Studies programs may require fieldwork or a practicum. The fieldwork and/or practicum would be specified in the program curriculum. Some programs will require students to apply their newly acquired knowledge and skills in a professional setting. The fieldwork and/or practicum may require students to practice their presentation and communication skills, create professional development plans, and develop professional networks to help align with their long-term career goals and outcomes. Can I complete a Paralegal Studies and/or Legal Studies degree online? Yes, some institutions provide students with the option to complete their Paralegal Studies and/or Legal Studies master’s degrees and certificates online. This flexible delivery mode provides working professionals at various stages of their career to complete a graduate degree while continuing to work full-time. Asynchronous coursework can be completed on your own time — a big plus for many online graduate students. Synchronous coursework has to be completed within a set timeframe. This is typically done for group projects, seminars, presentations, and other learning initiatives that require multiple attendees. The elements of asynchronous and synchronous learning in your online program depend on the professor and class itself. Once you enroll, reach out to teachers for specifics, but remember that the curriculum may be divided into these two subsets. What are some specializations or concentrations that the Paralegal Studies and/or Legal Studies degree might offer? Most Paralegal Studies and/or Legal Studies programs do not offer specializations and concentrations. Most programs will provide a core set of courses that focus on providing foundational knowledge in legal research and writing to ensure that you can succeed in modern legal teams. In addition, courses focus on providing in-depth knowledge in legal principles, ethics, leadership, legal history, jurisprudence, and additional substantive areas of law. While a master’s degree in paralegal studies and/or legal studies is not required to practice in the legal field, having an in-depth understanding of the law can help you develop the skills that employers demand and make you more marketable in your industry. The graduate degree can help you acquire written and oral communication skills, time management, legal research and writing, and specific types of law. What are the types of careers do people with a Paralegal Studies and/or Legal Studies degree pursue? What are possible job titles and salary for graduates? What makes the master’s degree in paralegal studies and/or legal studies a promising career field? What types of organizations do graduates with a Paralegal Studies and/or Legal Studies degree work in? Master’s degree graduates of paralegal studies and/or legal studies work in a variety of job settings such as law offices, directly with lawyers, in corporations, government agencies or other organizations to provide administrative and clerical support to the legal team . Their work within the organization can be specialized based on the practice area of the firm such as trial practice, real estate, corporate, estate planning and more. How can a Paralegal Studies and/or Legal Studies degree add value to my career? What is the most important accreditation for the Paralegal Studies and/or Legal Studies degree? A highly valued accreditation for the Paralegal Studies and/or Legal Studies degree is an approved program by the American Bar Association (ABA) . The ABA accreditation ensures that it meets the highest standards by meeting specific guidelines for its tenured faculty, curriculum, legal speciality course offerings, number of students enrolled, and more. Should I look for the Paralegal Studies and/or Legal Studies degree to have any other accreditations? Apart from the ABA accreditation, you should research your top Paralegal Studies and/or Legal Studies degree choices to ensure that the university is regionally accredited. Accreditation ensures that universities and their programs meet the highest standards for quality education and continuous improvement. Accredited programs ensure that you receive the highest quality education possible from your chosen university and program. These programs will help you as you move ahead in your career because they are typically eligible for federal financial aid, transfer credits from other programs, and can help ensure you obtain professional licensure in your field (upon meeting all individual requirements) . These programs are also more widely recognized by employers to ensure that paralegals and legal assistants have the training required to be successful on the job. Employers in the legal field value accreditations such as regional accreditations for universities and ABA accreditation for paralegal studies and/or legal studies programs because it ensures that employees have received the highest quality education possible and it ensures a standard of practice for paralegals and legal assistants. More than 80% of paralegals that belong to the leading U.S. paralegal association called National Association of Legal Assistants (NALA) reported that they hold the NALA Certified Paralegal (CP) or Certified Legal Assistant (CLA) credential and 9% report having completed a master’s degree . A graduate degree and certification can help impact your marketability, make you more in-demand with your current and future employers, and also increase your salary. What are the standards for accreditation? The standards for American Bar Association (ABA) are rigorous requirements that universities must meet to ensure that their program meets the highest quality standards. The ABA is recognized by the U.S. Department of Education, a national government agency that oversees program accreditation . Students who attend ABA-approved schools will receive a quality legal education. The standards focus on the program, curriculum and courses, faculty, library and information resources, facilities, technology, and more. How do you know if a university's program is accredited?